On December 20, 2011, St. Louis police officer Jason Stockley shot and killed unarmed Anthony Lamar Smith. For six years, the city of St. Louis has waited for justice. Yesterday, September 15, 2017, Anthony’s family, friends, and community were denied justice by a system that has been criminalizing, imprisoning, and killing men for centuries. Progressive Youth Organization – Kansas City stands with the community of St. Louis in this time of injustice. Your suffering is our suffering. Your burden is our burden. The same laws that oppress the people of your city weigh heavy on the citizens of Kansas City. The tyranny of police brutality has strangled many communities and you are right to express your outrage, your pain, and your every emotion. Now more than ever there is a need for communities to join in solidarity to face the looming, ivory pillar of white supremacy. Jason Stockley is a face unrecognizable among a barrage of blue uniforms and gold badges flashed across our screens. He is a man who used his power over another and snuffed out their life. He is a man living in a system that rewards the color of his skin and the uniform he chose to wear. Jason Stockley is a symptom of a far-reaching rot that only white supremacy and capitalism could create. 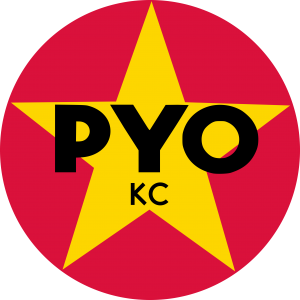 PYO-KC is a coalition of progressive working class youth and college students. We come from many backgrounds, many races, many genders. Together we speak many languages, we come from many countries, and we have many stories. We stand with St. Louis in the name of Anthony Lamar Smith, a man stolen from us too soon.